The mentor/tutors for the Engineering Living and Learning Community are available to help you better navigate and succeed in your chosen engineering profession. They can also provide some assistance in selected courses should you need some extra help. Tutoring and mentoring is available in the third floor study rooms and lobby of Hurst Hall and in the study room of Critz Hall. The tutoring schedule can be found here. You may first think of your ELLC Mentors and Tutors as people to help with your courses, and they can certainly do that, but you should also think of them as mentors. They are engineering students who have proven themselves capable of navigating the difficult courses, pressures of being an engineering student, and being engaged in other activities. They can help you navigate the hurdles you will find in college and provide advice on how to succeed in college. Feel free to talk to them about more than just calculus or chemistry problems. In addition to seeking help from the mentors below, you should also check with your professor and see if there are any resources available to you in the department in which the course is taught. My name is Hannah Accardy, and I am a senior in Mechanical Engineering. I did a three-term co-op with Shaw Industries in Dalton, GA, which is a flooring manufacturing company. I’ve been involved with the club women’s ultimate frisbee team since my freshman year of college. I love having a competitive outlet. One fun fact I always tell people about myself is that I have an identical twin sister. If you approach me and I act like I don’t know you, I promise I am not being rude. You are probably talking to Beth. Corwin grew up in Baton Rouge, LA and spent seven years in the US Army after high school as an Information Technology Specialist. He completed associate degrees in arts and science at Mississippi Gulf Coast Community College prior to transferring to Mississippi State University. His favorite hobbies are computer gaming and music and originally intended to double major in music education and performance. Hey guys! My name is Santana Holloway, and I am a senior majoring in Biomedical Engineering with a Pre-Medical concentration. I will be the lead tutor/mentor for this year. In my free time, I enjoy exercising and playing with my dog! I am so excited for this year, and I cannot wait to meet everyone. Please reach out to me if you have any questions or concerns. Hey, my name is Brayden Jackson, and I am a junior in Chemical Engineering. I am a native of Starkville, MS with a love for traveling and concerts. Although when I am in Starkville, I enjoy racquetball with friends and trivia night at Gondoliers. Give me a shout if you have any questions. I'm a junior in biomedical engineering. I plan on going to law school after graduation for a career in Constitutional Law. Stop by for any advice or help with your classes! My name is Haley Knable and I am a senior in Electrical Engineering! I am from Decatur, Alabama, but have spent my past two summers in the Jackson, MS area for my internship with Raytheon Space and Airborne. In my free time I like to spend time outside, exercise, and I love dogs! Hi, my name is Kristen Lacy, and I am a senior in Biomedical Engineering. I’m originally from Starkville, MS and love spending time at the Refuge whenever I get the chance. I’m looking forward to a great year of tutoring in the Engineering Living Learning Community. Hail State! I'm Ross Robertson, a Junior majoring in Aerospace Engineering. I'm originally from Peachtree City Georgia where everyone drives around on golf carts. I enjoy rock climbing and playing foosball when I have some free time. My dream job out of college would be working on satellites. My name is Luke Tucker, and I am from Tupelo, MS. 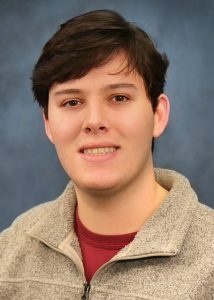 I am a junior in biological engineering and have always studied at Mississippi State University. In my free time, I enjoy going wake surfing and teaching others how to wake surf. I am also a member of the Famous Maroon Band!